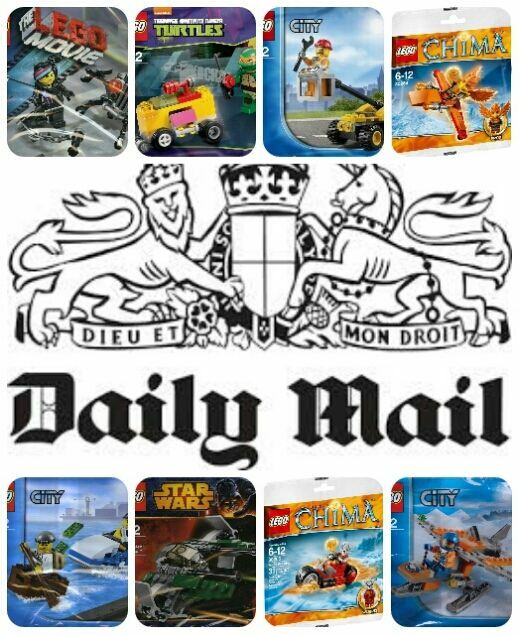 Starting from Saturday 20th to Saturday 27th of September 2014, the daily mail are giving away lego sets each day. This is the same as previous offers, get the paper take in the token printed inside to either WH Smiths or Toys r Us and get your lego toy. Though on the voucher the first Saturday did say collection from Morrison’s, aswell but didn’t say that in the main description so not sure. Again with previous offers even if you just want the lego set and don’t normally buy the paper, which I don’t it does work out good value for the set you are getting. I would recommend getting early in the day as they are while stocks last, though I didn’t get the Saturday one until after 3pm and the local WH Smiths still had a good stock level of that set. As normal I get these sets and upload photos to this page, so keep coming back to see photos of the made up sets.